If you are looking for a beautiful country home with acreage then look no further. Custom built 3 bedroom, 2 baths on the main level and a full basement that is partially finished with a bonus room, full bath and an office. 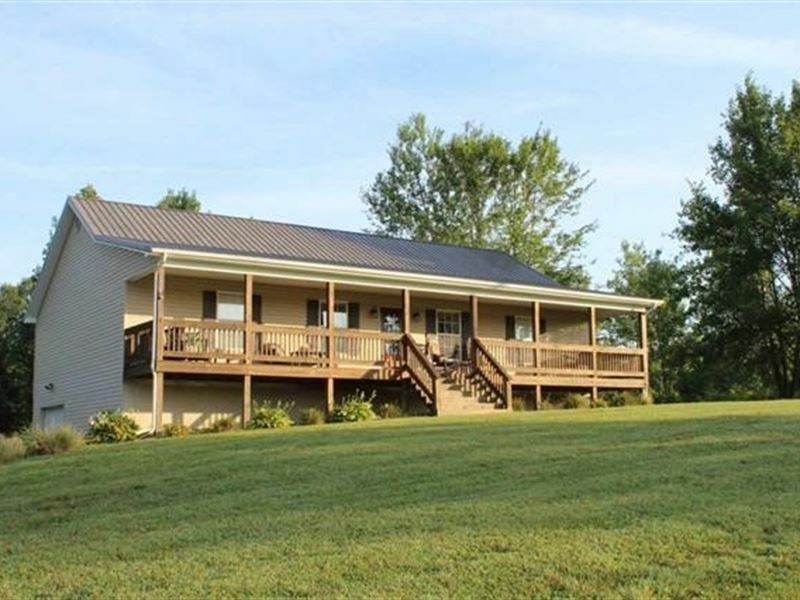 This home offers a full 8 X 52 front porch and a rear deck with views of the property. All of this on 11.59 acres that is mostly wooded and great for nature lovers and hunters. Conveniently located near Nolin Lake, Leitchfield, Elizabethtown and Bowling Green. For additional information or to make an appointment to see this property, call at.